This is a simpler, more compact version of the Box Drill, but it accomplishes the mission of teaching shooting on the move as well as one-handed shooting. Because it involves some complex techniques, I strongly recommend you do this with an experienced partner who can monitor your movements. Traffic cones or other markers, spare mag or speedloaders. 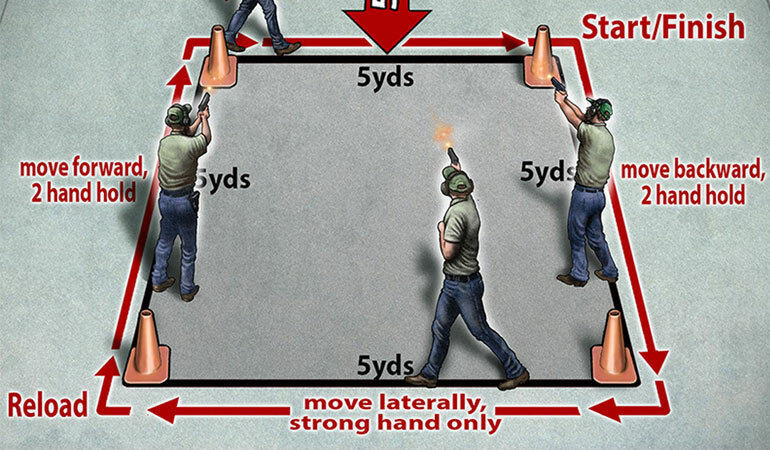 Place an IPSC/IDPA target five yards from the front edge of the box with five-yard spacing between the cones—firing three to five shots in each segment, depending on gun capacity. 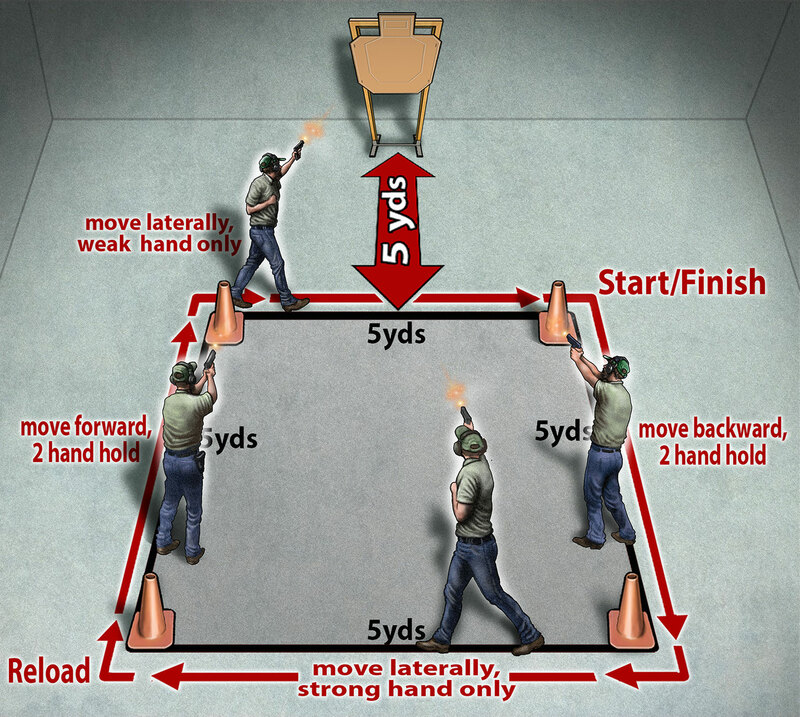 Begin at the front right corner, raise or draw the gun and move backward, firing with a two-hand hold. Go around the rear cone and switch to strong-hand-only, firing the same number of shots. At the left-rear cone, do a reload and switch to a two-hand hold, firing as you move forward. At the final turn, change to weak-hand-only and move toward the start. Fire only while moving, striving for center-mass hits. Concentrate on sure footwork—toe/heel moving backward, heel/toe moving forward—while maintaining front-sight focus. Don’t turn your body on the one-hand sections; walk forward normally, firing arm extended. You’ll learn a lot more by moving deliberately than trying to race through it, so go slow and be safe!